Apple today announced a new addition and a major update to its family of music-making apps for iOS that make it easy for people to tap into their musical potential and create incredible music no matter where they are. 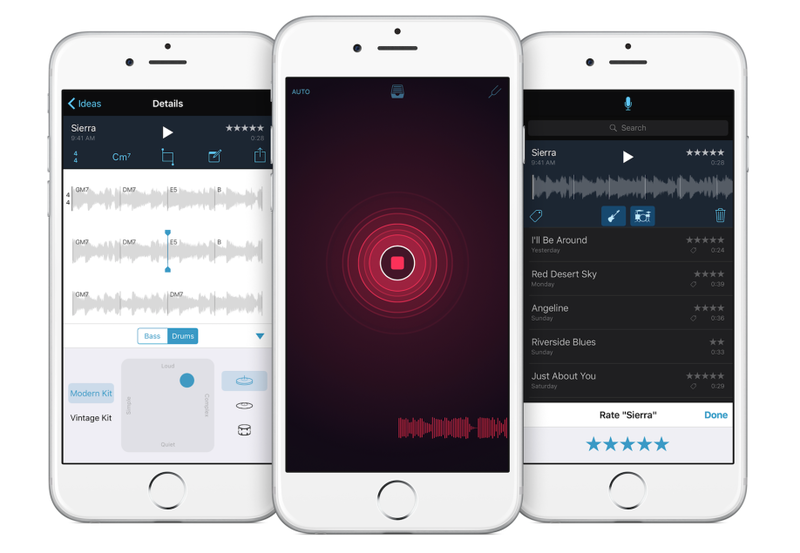 An all-new app called Music Memos lets musicians and songwriters quickly capture, organize and develop their musical ideas right on their iPhone. And a major update to GarageBand for iOS introduces multiple new features, including Live Loops, a fun way for anyone to make music like a DJ using only their iPhone or iPad. Musicians and songwriters around the world have used the Voice Memos app on their iPhone to quickly record ideas, and many hit songs first started as Voice Memos. The new Music Memos app is inspired by Voice Memos and takes the functionality even further by adding musician-friendly features designed specifically for songwriting and developing musical ideas. With Music Memos, you can record any musical instrument through the iPhone’s built-in microphone in a high-quality, uncompressed format, then name, tag and rate it to start building a library of your ideas. The app can analyze rhythm and chords of acoustic guitar and piano recordings, and instantly add drums and a bass line to provide a virtual, customizable backing band that plays along to match the feel of your song. Music Memos can even provide basic notation that displays the chords that were played. With iCloud your Music Memos are automatically available across all your Apple devices so you can open them in GarageBand or Logic Pro X to further develop your songs. Musicians can easily share their ideas via email or with their fans through Apple Music Connect. For more information about the new Music Memos app, visit, www.apple.com/music-memos. Music Memos is available for free on the App Store and is compatible with iPhone 4s and later, and iPad 2 and later. GarageBand 2.1 for iOS is bundled free with new iOS devices 32GB and larger, is available as a free upgrade for existing users with compatible iOS 9 devices or later, and is available to everyone else for $4.99 via the App Store.